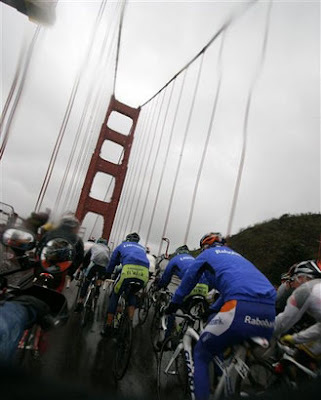 The peloton heads out in the rain across the Golden Gate Bridge. 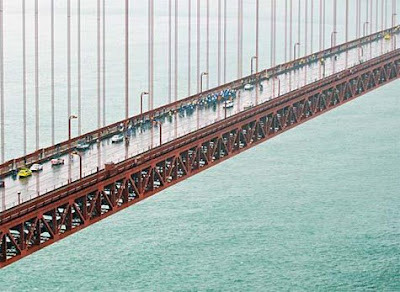 The peloton crosses the Golden Gate Bridge during a heavy rain, Monday, Feb. 16, 2009 in San Francisco during the start of the second stage of the Tour of California race. 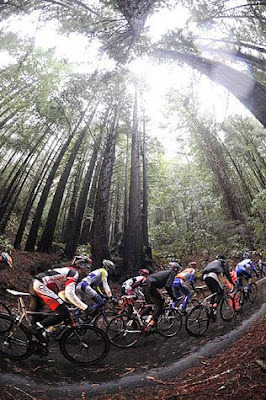 Up the Tunitas Creek climb the riders go during today's very wet stage.